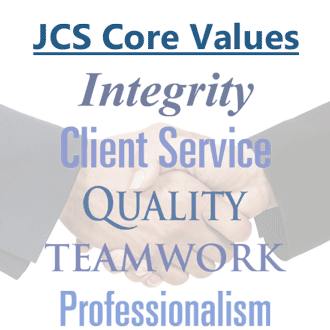 The JCS team has assisted a wide array of clients in their efforts to create, sustain, and improve their application of technology to achieve business goals. Our firm has a track record of working with clients in a wide spectrum of industries, services, and sizes, from the Fortune 100, to mid-sized growing companies, to smaller start-up organizations. No matter the company size, project size, or industry, we are dedicated to delivering superior service and quality. We staff our projects with dedicated teams of experienced professionals to drive success for our clients. Contact us for more information regarding how we can help your company.